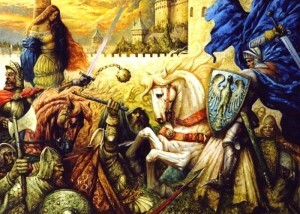 King Arthur’s sword in the stone, his true magician Merlin and the Knights of the Round Table – many legends and myths are associated with it. Obviously, the whole story is fiction, which is designed to raise the morale of the British troops. According to mythology, King Arthur is the one who defeated the Saxons and established an empire that stretched over England, Ireland, Iceland, Norway and Gaul in the sixth century. Although there is no real evidence such a person existed, historians continue to argue. Some evidence suggest that Arthur contain many features from the Roman commander Lucius Arturiost Kast, who lived in the second century. 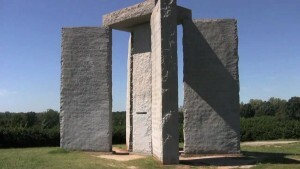 Sometimes called “American Stonehenge”, The Ninth of The Greatest Mysteries – stone signposts in Georgia are granite monument, erected in the state in 1979. The stones are engraved in 8 languages – English, Spanish, Swahili, Hindi, Hebrew, Arabic, Chinese and Russian. Each of these relays 10 “new” orders for “the age of the mind.” Although there is no encrypted messages on the stone sculptures, their origin is not yet understood. It is known only that they were ordered by a person with an alias RK Christian (a christian). 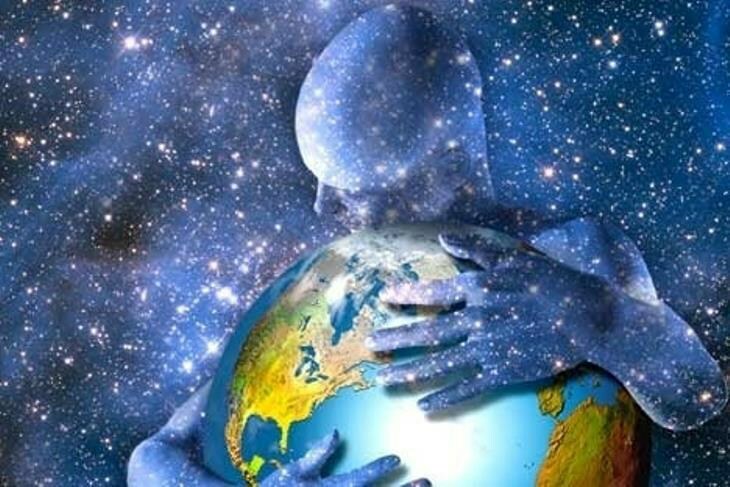 The first of the Ten Commandments is the most controversial: “Maintain the humanity under 500,000,000 in perpetual balance with nature.” Many believe that it is authorized for the killing of people, but critics of stone signposts, urge them to be destroyed. Some fans of the conspiracy theories believe that the stone guides are made of ” a secret society”, that wants to establish a new world order. Paititi is the legendary lost city of the Incas, which is located east of the Andes somewhere in the forests in southeastern Peru, northern Bolivia and southwestern Brazil. It is assumed that the golden treasure of the Incas is hidden there in 1572 when the Spanish conquered the fort in Vilkabamba, the town was empty – its residents took the riches with them and hid their new settlement in the inaccessible forests of Brazil. Over the past 100 years dozens of expeditions were conducted in search of the lost city. Oak Island in Canada is famous for its mysterious pit, hiding ancient treasure. At the end of the XVIII and beginning of XIX century it was discovered a stone inscription deciphered as “40 feet below, buried lie two million pounds.” Today, that amount would be several times higher. The deepest excavations reached 72 meters. 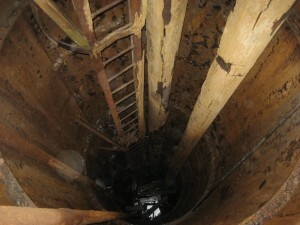 Six people were killed in an attempt to discover what is buried in the pit. According to various theories the contents include: the treasure of Captain Kidd, Blackbeard’s treasure, the missing jewels of Marie Antoinette, documents of Sir Francis Bacon and others. The sixth of the The Greatest Mysteries – Stonehenge stands in all its beautiful and mysterious glory on Salisbury Plain in Wiltshire, England. There are numerous carved stones stacked. Archaeologists have found that they are from before 2500 – 3000 BC. and believe that the structure was built by Neolithic inhabitants. 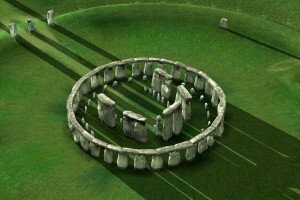 Purpose and way of creation of Stonehenge still remains one of the most talked about greatest enigmas of human history. Some believe that this is evidence of an alien invasion or a place filled with healing powers. If you look from afar the monument – mansion from the 18th century belonging to the county of Litchfield area of Staffordshire, in the central part of the main British Island, will hardly see in it anything more than a sculpted reproduction of the famous painting of Nicolas Poussin “Arcadian shepherds.” If you look more closely, however, you will notice a curious series of letters: DOUOSVAVVM – code, which decoding has continued for over 250 years. Although the identity of the author of the code remains a mystery, some believe that it may be a clue left by the Knights Templar, about the location of the Holy Grail. Many of the greatest minds in the world have tried to break the code and have failed, including Charles Dickens and Charles Darwin. 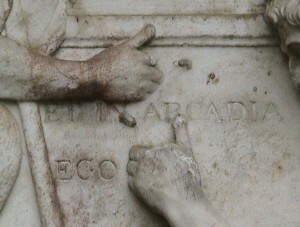 Most speculation however come from the picture of Poussin, which depicts shepherds in a small tomb, on which is inscribed the Latin inscription “Et in Arcadia ego” – “And I am in Arcadia”, where under “am a” means death. For those words is commonly believed that remind the inevitability of death, but along with the book “The Holy Blood and the Holy Grail” there is speculation that the Latin phrase is an anagram that indicates where is the Holy Grail. 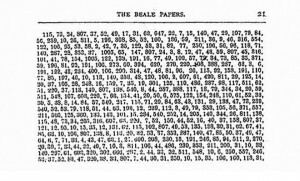 The Beale ciphers are a set of three texts, that are supposed to reveal the location of one of the greatest buried treasures in the US history: untold amounts of gold, silver and precious stones. The treasure was first discovered by a mysterious man, named Thomas Jefferson Beale in 1818 in Colorado. Of the three, only the second text is decrypted. An interesting fact is that the United States Declaration of Independence was used as the cipher key. Another curious fact is that Beale has the same name as the author of the Declaration of Independence and third president of the United States. 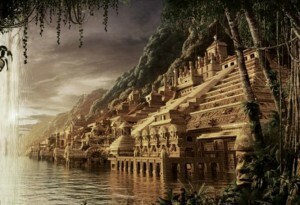 Lost City of Atlantis is one of the oldest and biggest mysteries in the history of mankind. 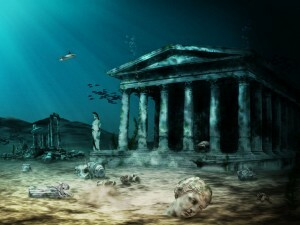 Since ancient times people have tried to find Atlantis, which is believed to be submerged after an earthquake or tsunami. The Greek philosopher Plato described the city as a large island located near the Rock of Gibraltar, home of the most advanced civilization. It is believed that the city had a sumptuous palace, temple of Poseidon and concentric walls and canals. The Knights Templars were one of the first and most famous religious military orders in Europe, founded in 1119. They had to maintain the new Kingdom of Jerusalem against Muslim neighbors and to protect Christian pilgrims, visiting the Holy Land. Over the time, the Order acquired enormous influence and wealth. Seeing danger in the face of the Templars, Philip IV won the support of the Pope to deal with them. In 1307, he arrested the most influential Knights and smashes their treasuries. It turns out to be empty. What is the treasure of the Knights Templar and where it is hidden remains a mystery that intrigues the world for seven centuries. Swamp people are naturally conserved human corpses found in the swamps of Sfangum in Northern Europe. Instead of decomposing, the swamp has preserved the skin and internal organs relatively intact. 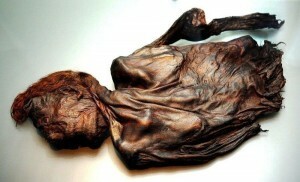 The thousands of bodies can be dated from the Iron Age and in many of them were found signs of violent death. It is widely believed, that they were sacrificed during pagan rituals, or it was some form of punishment for criminals. However, no conclusive evidence as to why thousands of bodies were thrown out. They are found sporadically all around Germany, Ireland, UK, Netherlands and Denmark.